Lemax Santa Claus Figurine depicts our cheerful Father Christmas reliably carrying a sack of Christmas presents for the children. Santa Claus earns his place in and amongst any Lemax Santas Wonderland village scene. A delightful Lemax scene figure who has been popular with Lemax collectors since his arrival in 2005. 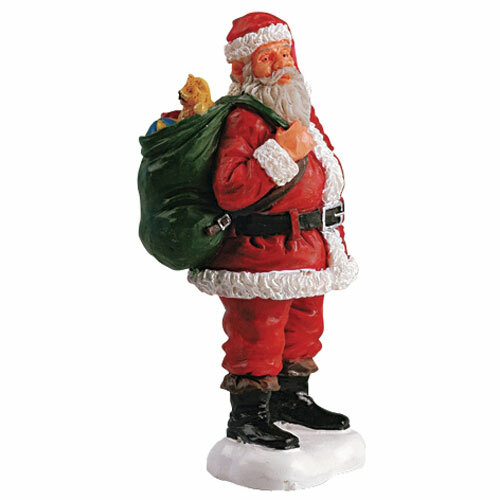 Mr Claus is a single individual hand painted polyresin figurine mounted on a single snowed base to compliment your seasonal Lemax Village Christmas display.